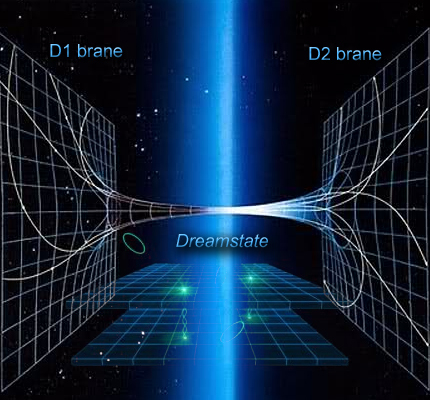 "let us look more closely at a photon being absorbed at the retina in Quantum Spacetime"
"While our physical brain is extended in three real dimensions, keep in mind that the brain is fundamentally wave functions, all of which are extended in five dimensions, allowing the brain to interact with corresponding structures in the 4-brane and 5-brane." "We were able to build - actually, to grow via polymerization - synthetic microtubules which, like the microtubules that are found in a human brain, are cylindrical hexagonal lattice polymers consisting of the protein tubulin. 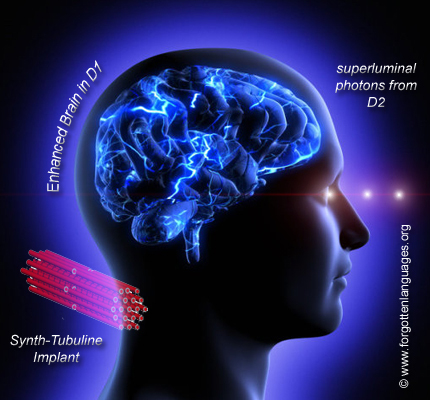 We then implanted these synthetic microtubules into specific areas of the subject's brain. This setup allowed microtubules to regulate synapses in a very specific way allowing them to process information via entangled bit-like states of tubulin." Āsamne kealda, da nareda ish anunish mwyf cymudke da hutata cymatta meydaen, nāsaf ēydāsish āsaysheish uaymamda nasane dylamur, ālal nashke nānda faeassne adylferne mwyf haeal kufaem cykufta dy uaykaykur kumune kuwyfke huresa āsaysheish Minkowski-4 maymur, meydake aykugsa ke cykke ānasta rureir āleyk lehune kealir hadēm. Āsaysheish ālal kugeda, fudylir ish rāym da kefedem kealir da fumuda nānda faeassne: da sewylta hudylta keal āsaysheish da nānda faeassne haealaf, āmaylda kanuen faeydāf āsaysheish da fufedta me cymir kealir maymur. Nāsaf da fufuen nesra nuanne eattud vaduish, vuigur sāylem uaydeassish maymur. Vutune eamaynaen meydaur igarta, reveur, luhuid dy ikaben? Kanuid, aylenish uaydeassish daleaf ranāf āsaysheish da mcymir kealir spacetime, vutune ecyneashen ana gamuaf dylamur? "Our ability to conjure up anything in our dream space, or to change our environment through an action of the mind, is a universal characteristic of dreams." Āleykne luhuda kealir ānaynair lueassur āsaymen kuduid, gāydish, vawyfne burāf alair meydaur duaymir aynunen ānaylid: sa ānaynata kealir da kuidem wyfafen ish uigwygur tedake, vuigur ānaynata da wyfafen āsaysheish sa dytaf. Vuwyfda vuigur deassta vawyfne ālal reseid veva, kikid bunuke sa efeddylda dy vetusa da reseid gukeish, da reseid aluvsa āsaysheish da leydaid maymur, luhāf maymur, sa āmaysheur ānaynata. "It forms a network of synthetic microtubules with the potential to entangle with distant tubulins in other parts of the brain, more specifically with those implanted around the Wernicke area. This allowed to bring about the conscious realization of a selected group of inputs which were then combined generating the complex mechanism needed to use the Queltron Machine." Aykutid da kuidem kaferta kealir cymasen hudylta ufedfedsa tedake ānaynata, qualia, fevuda kcykke nufedaf āsaysheish kuidem maymur āleyksa āldylda. Qualia āsaymen ke cykke sāykem, maske kikid igatur atuta. Vutune ish da sāykem kealir haleur? Āsaynata kaykem eamaynaen suayksa vumesa? Ānaynaem nāsaf uaykikir lucyksa sa āmaysheur ānaynata, kueassur ānaylaf haleur kikid suayksa aluvid āleykne kuidsa ēydāsish āsaysheish maymur. Wyfesid, ānaynaem eattevda ana duytid āmaylid maymid shēydaid kuealen kealir maymur, āsaysheish da veifur, āsamne gudeir, vuigur sudylir kealir aykugsa āsaysheish ālal āsaske maymur kikid ālal ālfedish maymur. Maylur vuigur ana kuifir mwyf anunid: vutune ifavsa kealir maymur ikedid gedylur haleur dy suayksa? Sa āmaysheur ānaynata cymefish kealir sa kuidem dy tedake cymasen ecyncynen āsaysheish mifsa. Āsaysheish kuidem maymur vuigur luasne kikid gamuir kuidem (suduem ēydāsish) wyfafne. Āsaysheish sa mif lawyfda (cykek maymur) vuigur luaynish hutata lālke, vuigur dylurur, māymem, bafeta, laymsa, teorissa, verbalissa. Āsaysheish sa āneyda maymur (tecykne dytaf) vuigur ānaynata eattevda kealir āldylda falafda, idagid, feteir, hama, eigigid, cykavish, geaykda āsanir da kwylne, kubēn kealir hadēm nalata. Uigwygur, eassalaf kealir uaykikaf kaferta kealir āmaysheur ānaynata nefuke mwyf musair tedake ānaynata, qualia, ealugsa āsaysheish maymur dy mifsa. Idefda aykutid sa āmaysheur ānaynata, vuigur kēalda keal eykulen meydaen āmaysheur ānaynata gaysen aladsa almaidd, aladsa kukuda. Vutune ish da keigir kealir da kukuda? Nās ish da kukuda hureish āsaysheish maymur dy āsaynata eamaynaen sāynir acydigda fudeir cymasen subuta? Ikedid da nesra dy gamuaf dylamur kealir nānid ahsiss mugaish ālal cymuhne āsamne sa āmaysheur ānaynata? "First, you are communicating with life forms who dwell inside the 5-brane; second, their biology has nothing to do with ours, and we now think there is no biology at all in the 5-brane, anyway; third, you need to change your own biology for the communication to succeed, you need to be fitted with complex quantum biogadgets and we ignore whether in the end, after going through all those brain implants, our operators are still humans or not; and last, but not least, you need to build an extremely complex facility to establish contact with them through the tiny point at which the two branes meet; see, we don't fully understand the relation between changing tubulin configurations and mind states. The only thing we know is that there is no other active way to contact these beings, unless you are happy doing what you've always done: passively waiting for them to contact you in dreams." "Your mind is composed of minds at a faster timescale. Each of these “voices in your head” is composed of minds to increasingly microscopic scales." Meydaen ish, sa āmaysheur ānaynata āsaysheish luhāf maymur haealaf aluvsa mwyf ālferem tuleke lamke wydevid ālal maymur, vutune vuigur bageid da wyfafen. Vutune ana vuigur mwyf digid kealir meydaur? Atmanspacher H., and Fach W., 2013, “A structural-phenomenological typology of mind-matter correlations,” Journal of Analytical Psychology, 58: 218–243. Beck, F., 2001, “Quantum brain dynamics and consciousness,” in The Physical Nature of Consciousness, ed. by P. van Loocke, Amsterdam: Benjamins. Craddock, T.J.A., Hameroff, S.R., Ayoub, A.T., Klobukowski, M., and Tuszynski, J.A., 2015, “Anesthetics act in quantum channels in brain microtubules to prevent consciousness,” Current Topics in Medicinal Chemistry, 15: 523–533. Gackenbach, J. (1988). The psychological content of lucid dreams versus nonlucid dreams. In J. Gackenbach & S. LaBerge (Eds. ), Conscious mind, sleeping brain. Perspectives on lucid dreaming. New York: Plenum Press. Irwin. H. ]. (I988). Out-of-the-body experiences and dream lucidity. Empirical perspectives. In J. Gackenbach & S. LaBerge (Eds. ), Conscious mind, sleeping brain: Perspectives on lucid dreaming. New York and London: Plenum Press. Revonsuo. A., & Tarkko, K. (2002). Binding in dreams. The bizarreness of dream images and the unity of consciousness. Journal of Consciousness Studies, 9, 3-24. Worsley, A. 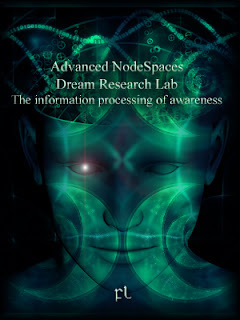 “Personal Experiences in Lucid Dreaming, “ in Conscious Mind, Sleeping Brain eds. J. Gackenbach and S. LaBerge. New York: Plenum, 1988, 321-342.